Lehigh Valley, Pa. — In conjunction with the American Hockey League, the Lehigh Valley Phantoms, proud AHL affiliate of the Philadelphia Flyers, are happy to announce the full schedule for the 2018-19 regular season. The Phantoms will kick off the season on Saturday, October 6 at 7:05 p.m., by celebrating the Fifth Season of Hockey in the Valley. The celebration, beginning on Opening Night, will feature a tribute to the first four years, a commemorative Rally Towel giveaway and the team will don special jerseys in honor of the occasion. 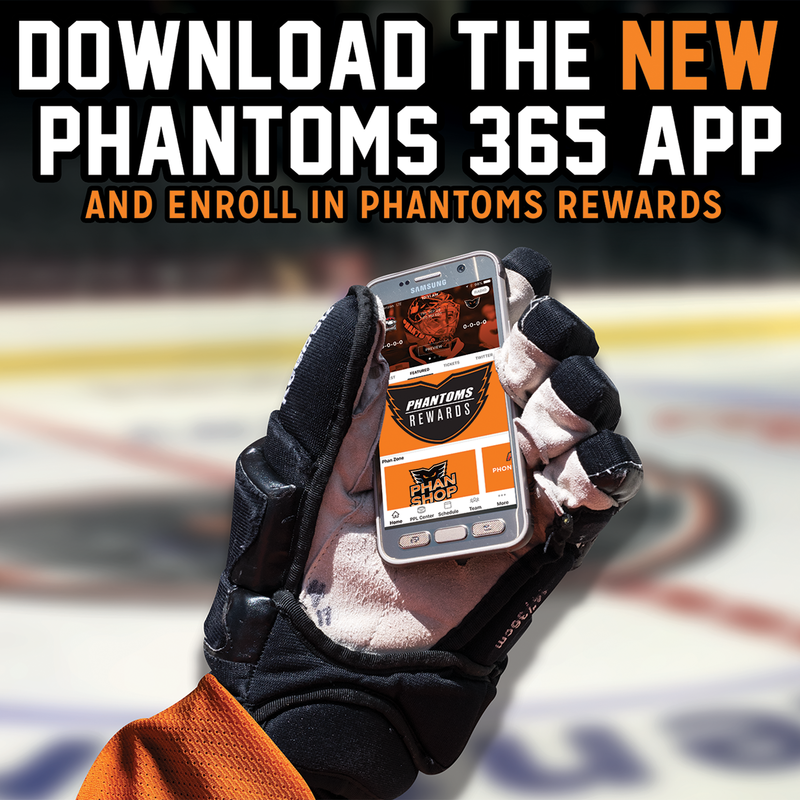 The Fifth Season celebration will not stop there as the Phantoms look forward to announcing their promotional schedule in the coming weeks that is highlighted by giveaways and theme nights that will complement their award-winning game presentation and entertainment. 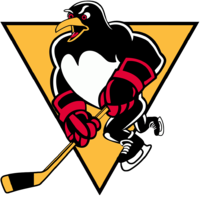 During the 2018-19 season Lehigh Valley will again faceoff against their biggest division rivals the Hershey Bears, AHL affiliate of the Washington Capitals, and the Wilkes-Barre/Scranton Penguins, primary affiliate of the Pittsburgh Penguins. 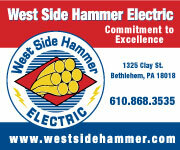 This past season, the Phantoms produced an impressive combined record of 17-6-0-1 against these rival teams. 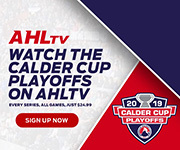 Among other great match ups throughout the season, the Phantoms will tangle with the newest team in the AHL’s Eastern Conference, the Cleveland Monsters, four times this season including two match ups in downtown Allentown on Wednesday, December 5 and Saturday, December 8. More than 84 percent of the Phantoms’ home games (32 of 38 total home games) this season will be played on weekend dates, including 15 Saturday contests, 13 Friday showdowns and four Sunday games. Fans in the Lehigh Valley helped pack PPL Center for 16 standing room-only sellouts during the 2017-18 season and have now produced 78 total regular season standing room-only sellouts through the first four seasons in the Lehigh Valley. 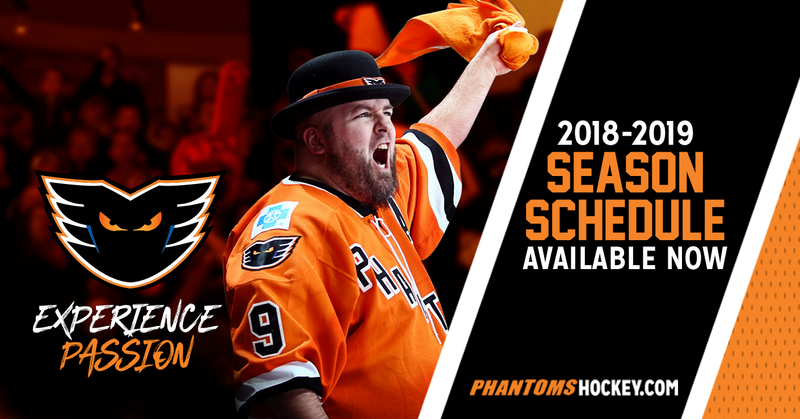 Click HERE to view the Phantoms complete 2018-2019 regular season schedule. 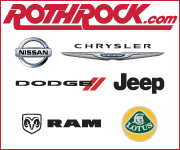 Click HERE to download the Phantoms schedule to your online calendar or mobile device. 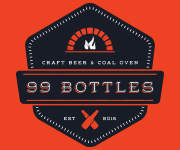 Saturday, October 6, 2018 (7:05) Bridgeport Sound Tigers — OPENING NIGHT! 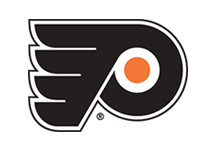 Hockey returns to PPL Center with the fourth annual Flyers in the Valley preseason game on September 21, 2018 when the Philadelphia Flyers tangle with the New York Islanders. 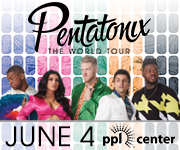 Starting at just $18 for group tickets and $22.50 for single game buyers, tickets for the Flyers preseason showdown are on sale to the general public at PPLCenter.com or at the QNB Box Office at PPL Center located at the corner of Seventh and Hamilton. 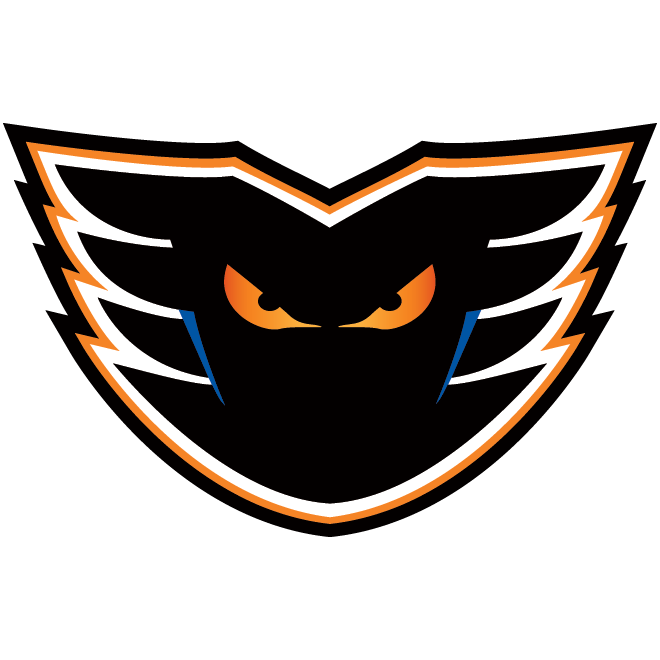 The fifth season of Lehigh Valley Phantoms hockey excitement is coming soon! Season tickets offering a wide range of benefits as well as 20-Game and 12-Game plans are available by calling the Phantoms at 610-224-GOAL (4625). 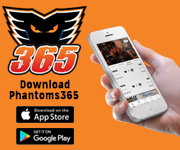 And for the latest Phantoms news, visit www.phantomshockey.com or follow the team on Facebook, Twitter (@lvphantoms) and Instagram (@lehighvalleyphantoms).